ECAP /Research /Gamma-ray Astronomy /H.E.S.S. The H.E.S.S. (“High Energy Stereoscopic System”) array is an Imaging Air Cherenkov Telescope (IACT) system for ground-based gamma-ray astronomy in the energy regime above a few tens of giga-electronvolts (GeV). 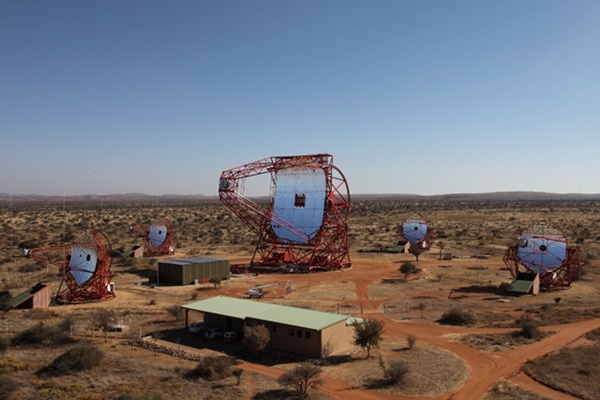 The experiment is located in the Khomas Highland in Namibia, which provides excellent observation conditions and a good view of the inner part of our Galaxy. The H.E.S.S. telescope array with the new H.E.S.S. II telescope in the center. Image Credit: Clementina Medina/Irfu-CEA. The H.E.S.S. experiment is in operation since the end of 2003 and initially consisted of four telescopes with mirrors of 12 m diameter. It has opened a new window to the cosmos, which is documented in the discovery of a large variety of sources both within and beyond the Milky Way. In summer 2012, the array was enhanced by a new telescope. With its 28 m diameter mirror, it is the largest Cherenkov telescope ever built and allows for the detection of gamma-rays down to energies of 30 giga-electronvolts (GeV). Together with the four smaller telescopes H.E.S.S. will continue to be at the forefront of ground-based gamma ray astronomy and will allow deeper understanding of high-energy gamma-ray sources such as super-massive black holes, pulsars and supernovae, and the search for new classes of sources. For more information on H.E.S.S., see the project web pages, the H.E.S.S. source of the month archive, and follow H.E.S.S. on Twitter. Scientists at ECAP are working on the study of Galactic gamma-ray sources, with special emphasis on the search for the accelerators of cosmic rays and the indirect search for Dark Matter. The group takes part in developing the H.E.S.S. 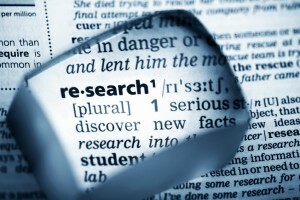 data analysis framework, and is responsible for the pointing, i.e. the precise alignment of the telescopes towards the investigated gamma-ray source.